Virginia is not new to extreme weather conditions. As elements take their toll on your commercial roof, it will suffer wear and tear over time. To make sure your roof performs at its best, Peak Roofing Contractors recommends investing in regular maintenance. What is Preventive Roof Maintenance? Even if your commercial roof looks good on the outside, there may be issues underneath the roofing material. Professionals like Peak Roofing Contractors can thoroughly look for these issues before they become worse. By tackling roof issues before they become worse, you can save your roofing system from worse damage. This way, you can save money on repairs or complete replacement. Regular maintenance also keeps your roof in good shape so that it will endure all the way till the end of its service life. You should schedule preventive maintenance at least twice a year. It is also important that you have experts inspect your roof after severe weather conditions. Who to Hire for an Inspection? Haag certifies contractors who can handle damage effectively and efficiently. Their certification program signifies expertise in handling different types of roofing damage. Peak Roofing Contractors is one of the proud roofing companies that carry Haag certification. 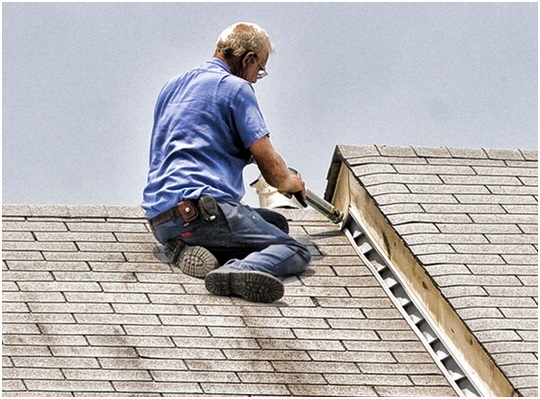 We are equipped with the proper skills and best practices to handle any type of Northern Virginia roofing. This certification makes us one of the best roofers to handle your commercial roof repair and maintenance. With 10 years of experience under our belt, you can ensure quality workmanship and customer satisfaction in every roofing project. If you want to learn more about our roofing services, call us at (703) 745-5153. You can also reach us through our contact form.